The country's largest listed food and beverages entity Nestlé India is considering expanding its production capacity this year. The maker of Maggi noodles and Kitkat may opt for a green field project after seven years to meet the growing demand of its products. According to Suresh Narayanan, chairman and managing director, Nestlé India, in 2019, the firm would focus on consolidating its business activities by adding capacity and strengthening the market position of its newly launched products. "We are seriously considering expanding our capacity - either by adding lines in our existing facilities or through a new plant," he said. While Narayanan did not specify the quantum of investment Nestlé is keeping aside for the move, industry analysts estimate that the firm may need to allocate Rs 300 to Rs 500 crore for the purpose. The last time Nestlé set up a plant in India was in 2012, when its facility at Tahliwal, Himachal Pradesh, became operational at a cost of Rs 400 crore. Currently, the 107-year-old firm has eight manufacturing facilities in the country. Its first facility at Moga in Punjab came up in 1961. The timing of the new project coincides with the firm's appetite for growth. In the past three years, since its crown jewel Maggi noodles made a re-entry into the market in November 2015, Nestlé launched well over three dozen products and ventured into new categories like breakfast cereals, nutrition for lactating mothers, specialised health supplements for patients and consumer appliances. Analysts at Motilal Oswal measured the contribution of new launches at 3 per cent of its domestic sales during January-June 2018. This is higher than 2.8 per cent during the same period the previous year. Activities and new launches have helped the world's biggest packaged-food company maintain leadership positions in more than 85 per cent of product categories. Brands like Lactogen and Nan (together 67.7 per cent), Cerelac (96.1 per cent), KitKat, Munch and Milkybar (together 61 per cent), Nescafé (51 per cent) and Maggi noodles (60 per cent) are market leaders in their respective categories. 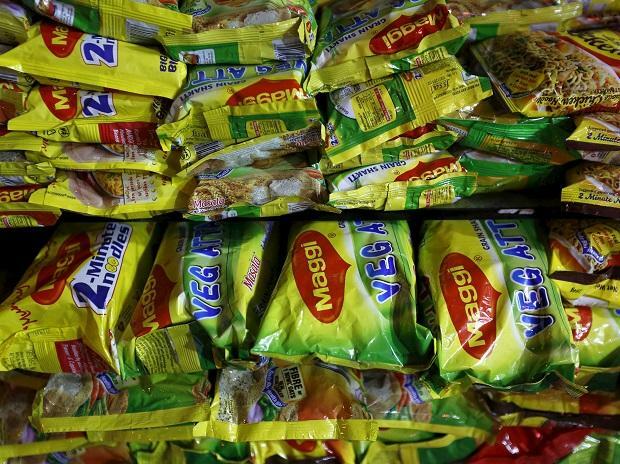 “We are now focused on all-round growth and not just survival,” said Narayanan, who was flown in from Egypt to rescue the then beleaguered firm by Nestlé’s global management in August 2015 in the wake of the Maggi fiasco. Nestlé India is gearing up to launch more products this year. “We have two-three dozen products in the pipeline," he added. Further, Nestlé India is working to increase exports from India to South-East Asian countries and in countries with significant Indian diaspora. Currently, it gets some six per cent of its Rs 11,216 crore sales from the international market. However, the cost of promotion would be brought down to the normal level.